20+ SEEBURGER customers and contacts from various industries met at ‘Living Tomorrow, Vilvoorde’ in Belgium, for the official launch of the Belgian office of SEEBURGER Benelux. SEEBURGER has been active in the Benelux market since 2005, with its office located at Schiphol-Rijk in the Netherlands. 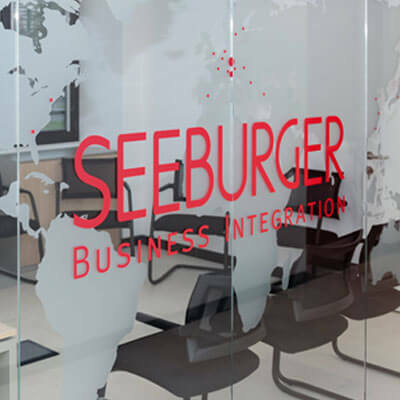 Already today SEEBURGER have many Enterprise and SME companies in Belgium using the SEEBURGER integration software products and services. Now it was time to establish an office in Vilvoorde, Belgium, to serve and advice our Belgian customers also with our own local experts. The Belgium Open Office Event at the “Living Tomorrow” complex was filled with an interesting program, such as the official opening of the office, SEEBURGER Benelux emergence and development, strategy and overview of the SEEBURGER Business Integration platform. The customer Ardo did an interesting business case presentation, and finally a very inspiring tour into innovation led by the Living Tomorrow guide. Going digital is not easy, especially when you are a large, leading organization in your domain with an IT environment heavily depending on legacy systems. There are often application and infrastructure challenges, like your systems and applications are band-aided together. This typically creates business silos, compliance and regulatory concerns abound, outdated functionality limits innovation and growth, data security & compliance, etc. And file transfer is still a challenge! SEEBURGER presented how to support this digital transformation also considering legacy systems. SEEBURGER showed how it enables organizations to integrate traditional B2B/EDI flows, Managed File Transfer and API Management functionality based on one single platform, the SEEBURGER Business Integration Suite (BIS) – operational On-Premise or as Cloud Services. Tom De Sloovere from Ardo presented an interesting customer success story how Ardo’s key business processes uses and relies on the SEEBURGER integration platform. The core business of Ardo is to supply their continuously growing markets around the world with high quality frozen vegetables, herbs and fruit. They do this in a sustainable way, with respect for people and the environment. Ardo carefully preserves nature’s precious gifts. Ardo has been a SEEBURGER customer since more than 10 years. The number of retail customers with whom Ardo exchange electronic messages (EDI) is increasing. EDI is also used for the exchange of orders between and with the various plants and BU’s. Ardo relies on the SEEBURGER integration platform to support these mission-critical processes. We thank all the participants for making this event so worthwhile and interactive! The networking discussions gave us a very good feedback and we could all return home with lots of new ideas! 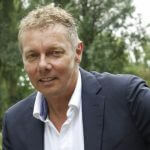 Albert Weessies, Managing Director SEEBURGER Benelux. Albert has been working for SEEBURGER for more than 10 years and have a wide experience of IT integration from 25 years in the business.